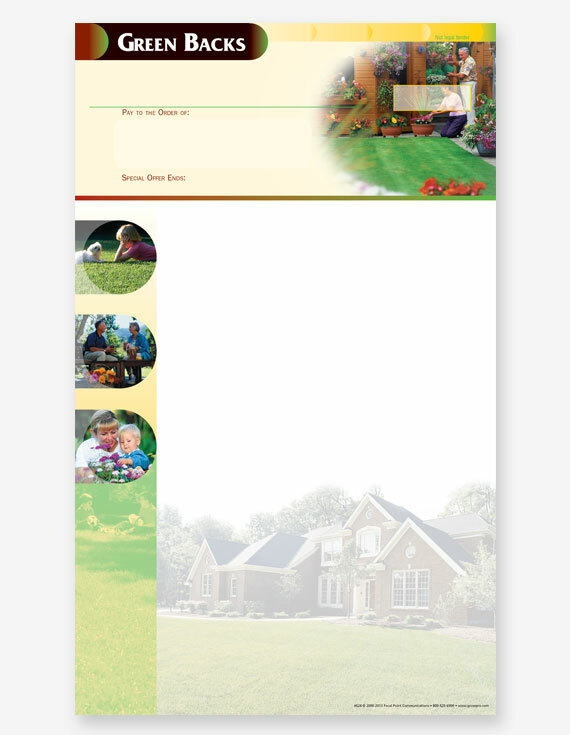 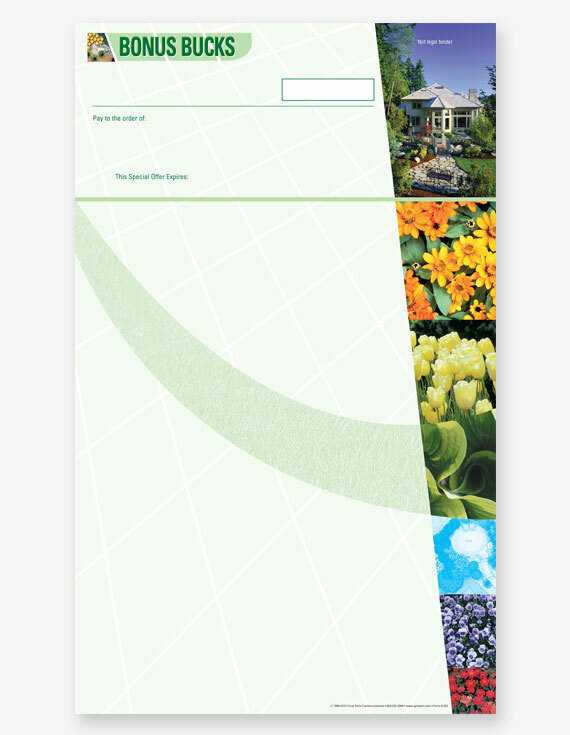 Personalize your marketing communications with our lawn- and landscape-themed stationery! 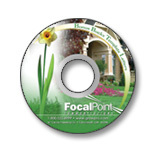 Focal Point’s Bonus Bucks are perfect for soliciting unsolds or past customers. 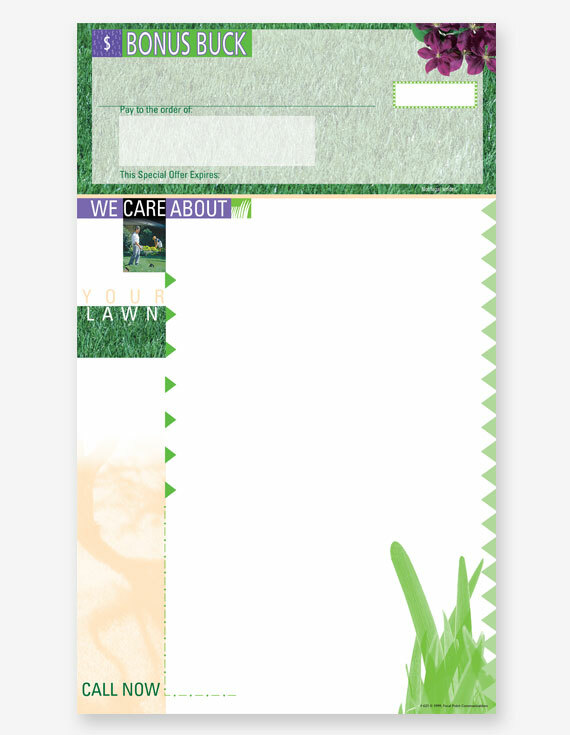 Each design features a detachable, check-like coupon that can be used for any kind of discount or promotion. 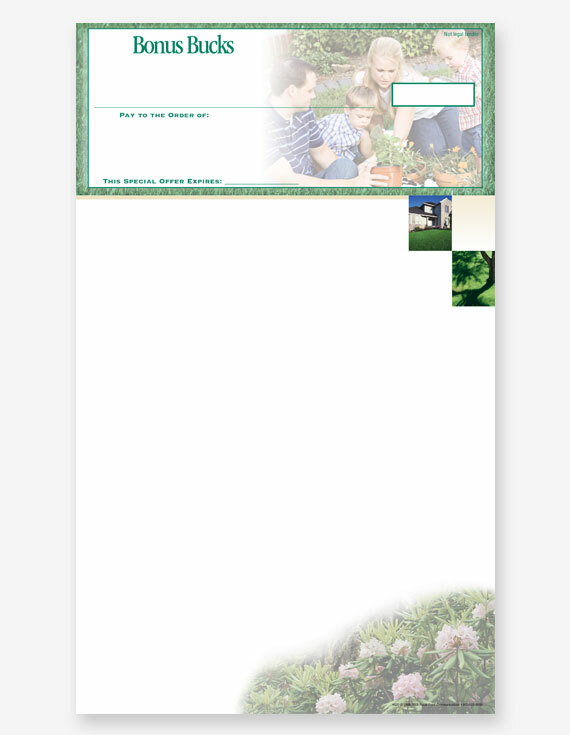 Whether you want to sell weed control or offer a referral incentive bonus, Bonus Bucks are a great way to generate new business. 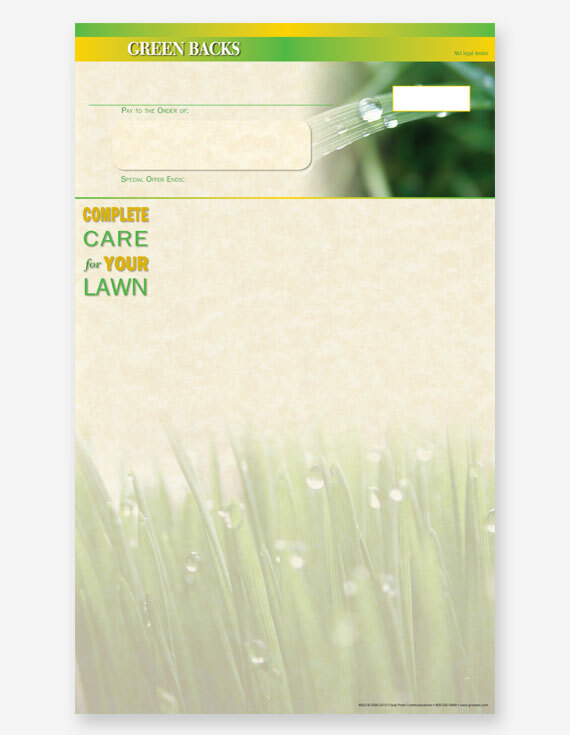 #620 - Bonus Bucks - "Family"
#621 - Bonus Bucks - "Grass"
#622 - Bonus Bucks - "Flowers"